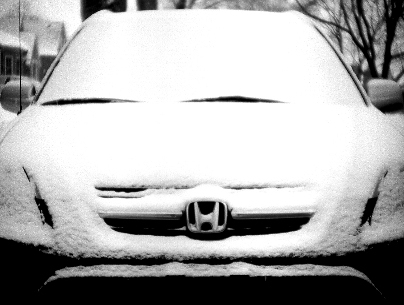 When owning a vehicle that will become exposed to extreme climates it’s important to understand how this can be detrimental to your Honda. This can occur in areas in which your car is left outside during extreme cold and hot temperatures. It is also worth noting that issues can arise when temperatures don’t hit extremes, but the change of temperature occurs rapidly. Many people understand that engine temperatures are highly regulated and system gauges constantly monitor the likelihood of the engine overheating. This isn’t the only damage that can happen. It’s crucial for Honda owners to be aware of their vehicles fluids and know that extreme temperatures can cause fluctuations that can cause an engine malfunction to be more likely. Also, over longer times of exposure to extreme climates various sealants, weatherstripping and other parts can corrode or warp faster than their expected lifespan. These types of parts are designed to offer a certain amount of flexibility, so by their very nature fluctuations happen. Having the knowledge that these types of issues can happen is helpful in preventing incurable damage. It’s a good idea, when living in an area with extreme climate to be visually aware of signs of corrosion or fluid fluctuations. At the first hint of an issue a professional Honda service center should inspect the vehicle. Keeping your Honda monitored and carefully addressing potential problems is a great way to stay on the safe side. BKHONDAPARTS.com offers a wide selection of parts and full range of replacement weatherstripping for Hondas.